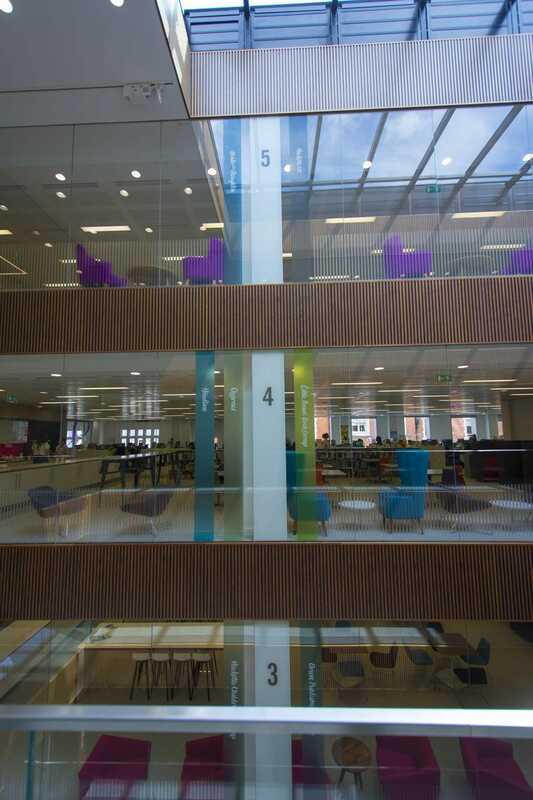 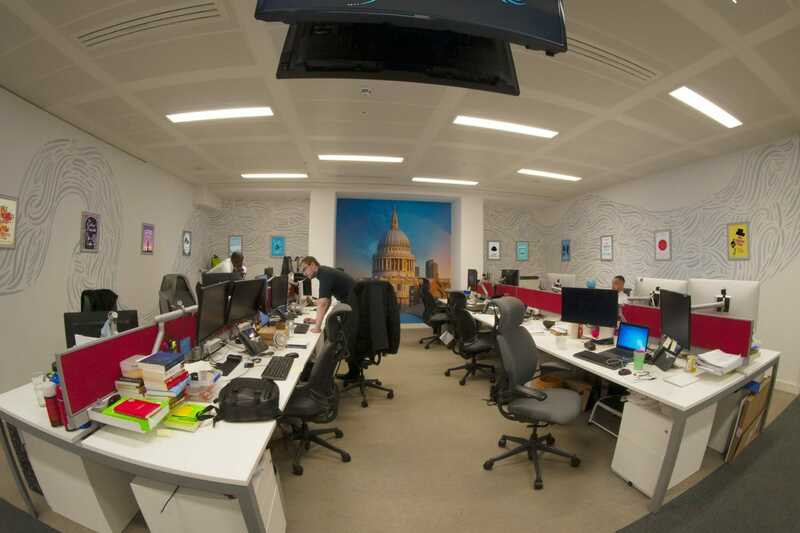 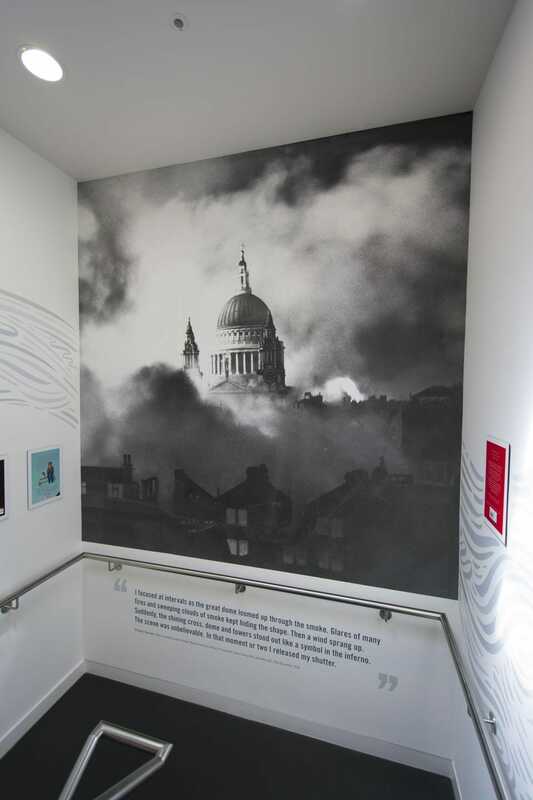 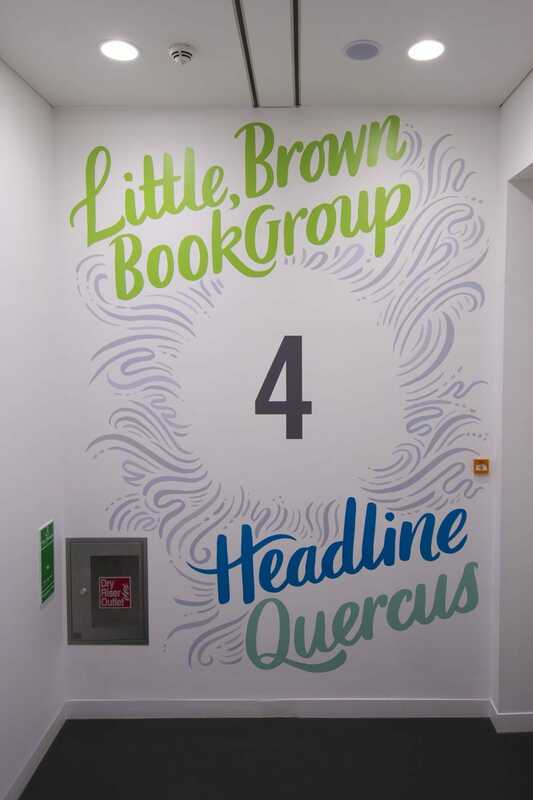 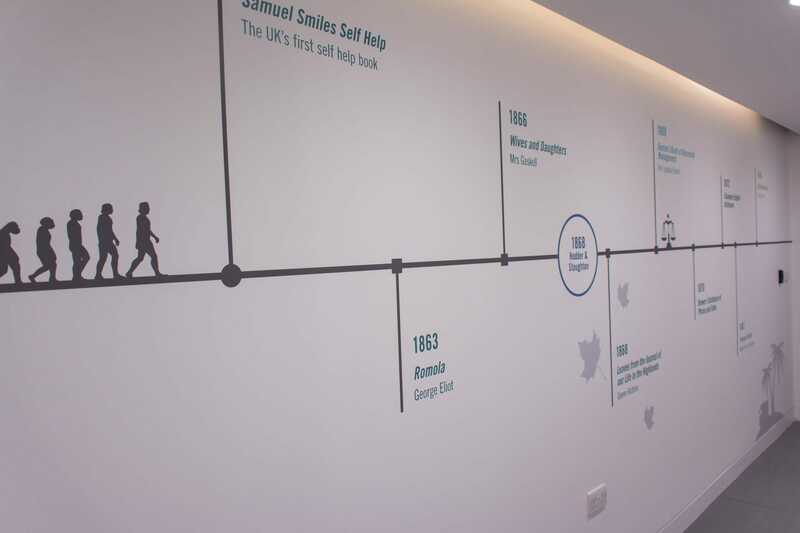 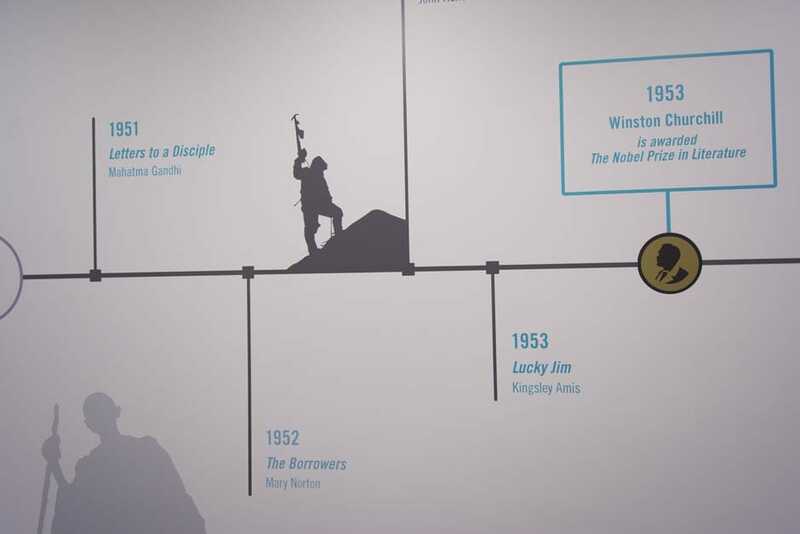 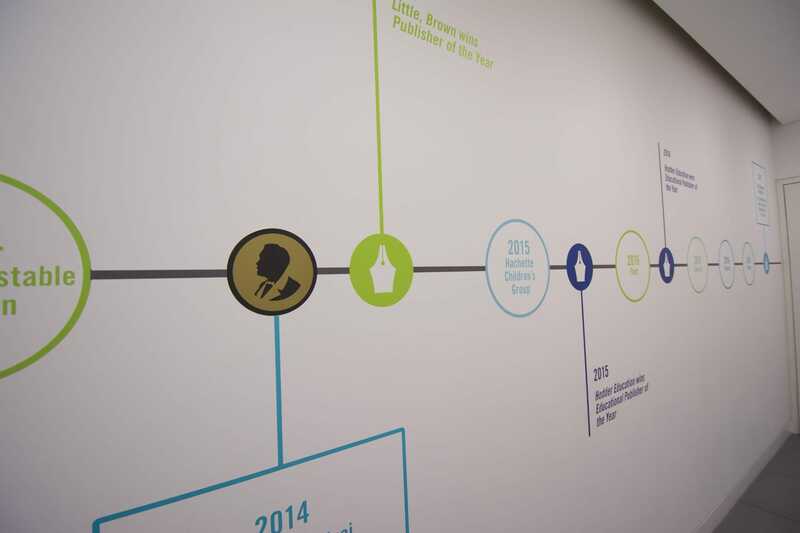 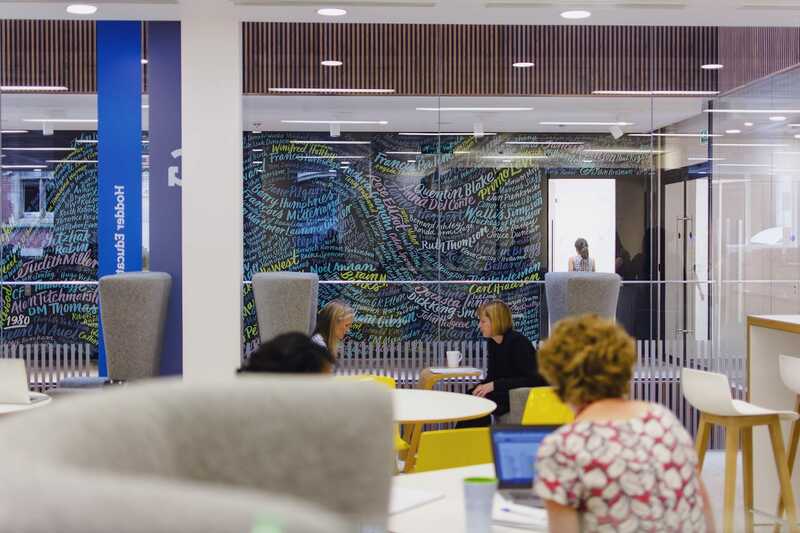 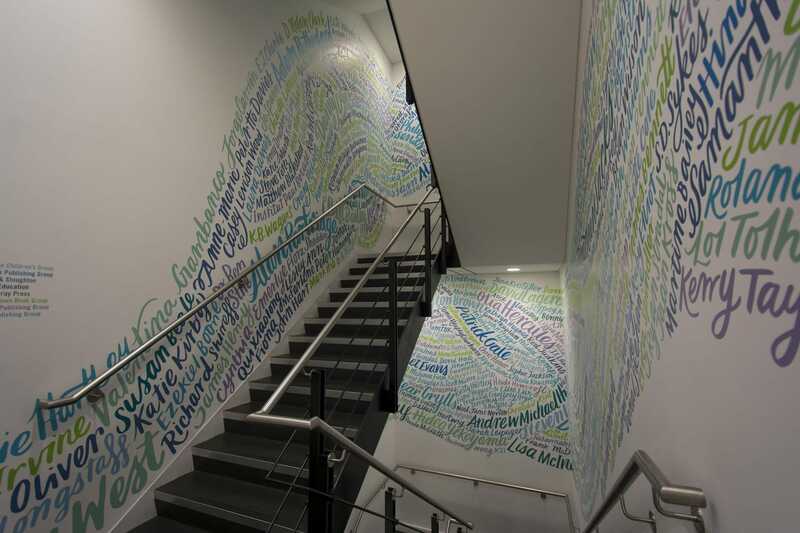 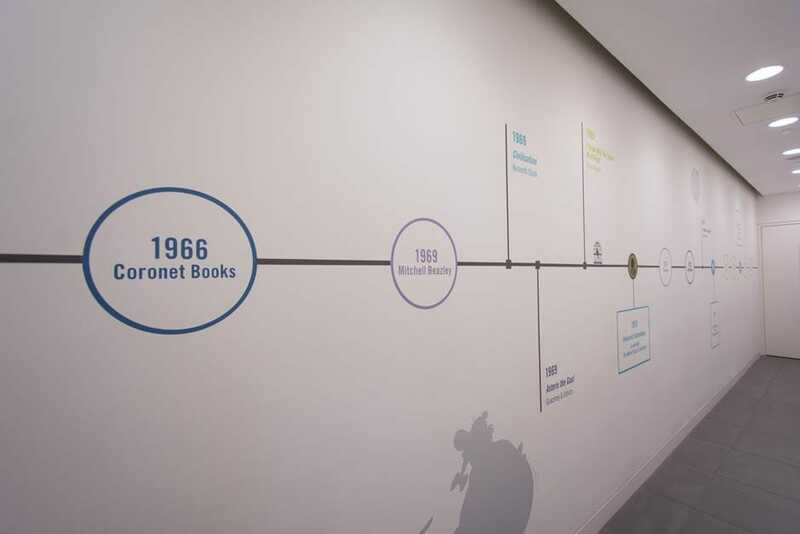 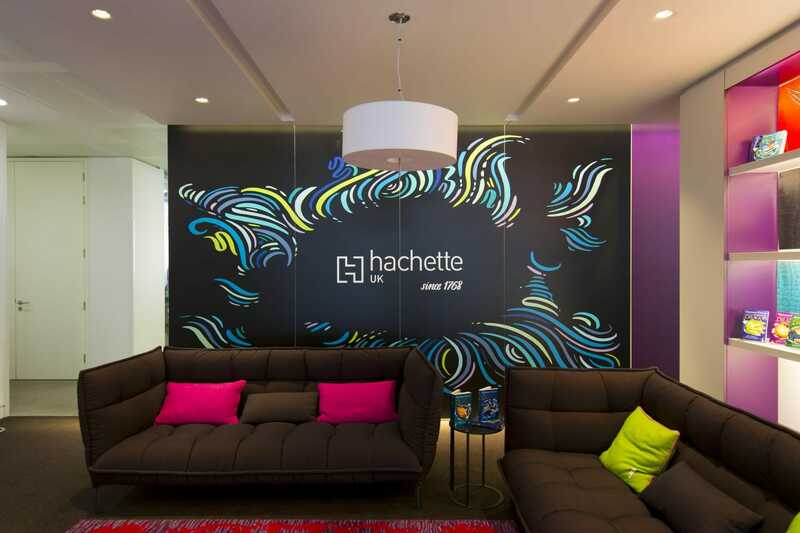 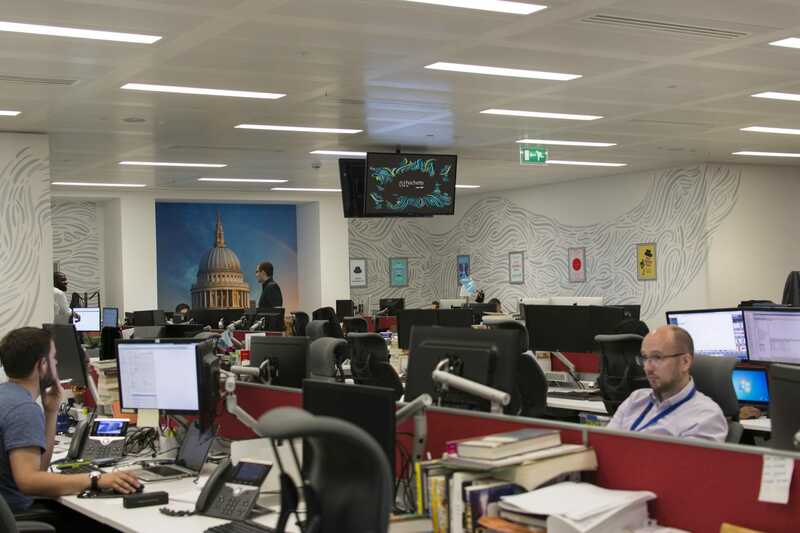 Commissioned by publishers Hachette, The Author Mural and Office Signage is a large scale mural celebrating nearly 250 years of literary history at Hachette UK’s London headquarters. 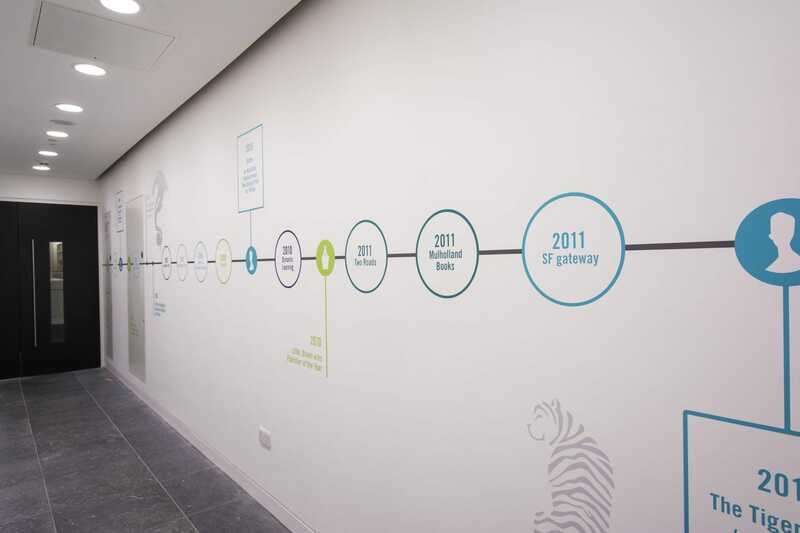 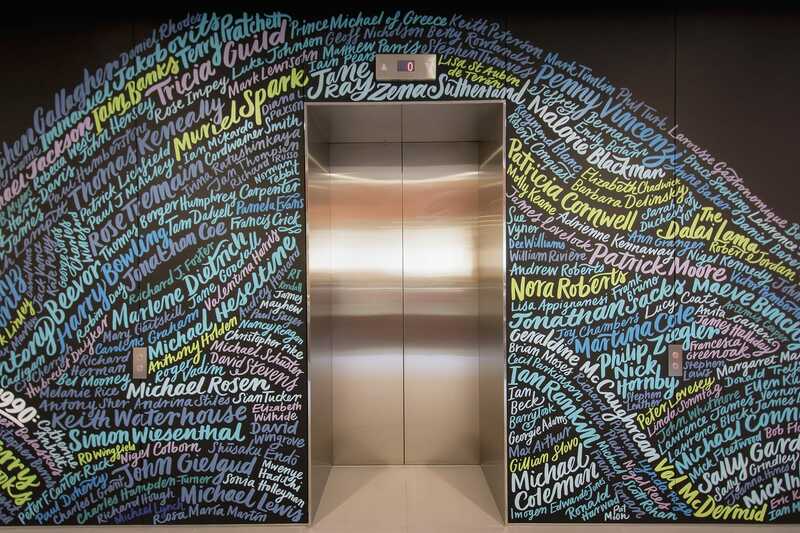 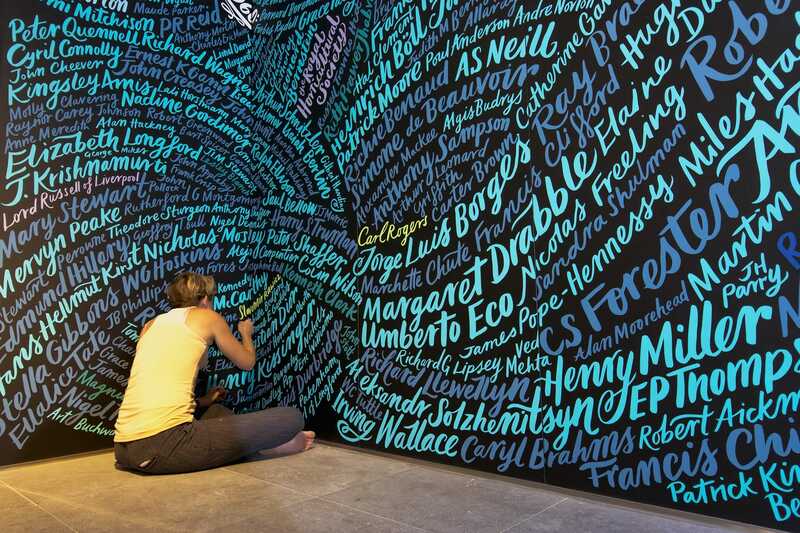 The mural features the names of nearly 4000 prominent authors published by Hachette UK from the foundation of the group’s oldest publishing house John Murray in 1768 to the present day. 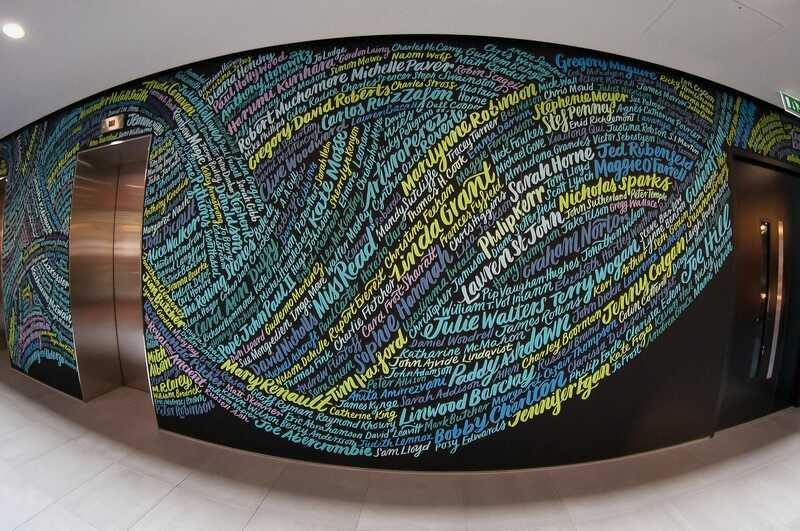 The brief was to create a typographic piece of art which incorporated the names of nearly 4000 authors published by the various imprints of Hachette since 1768. 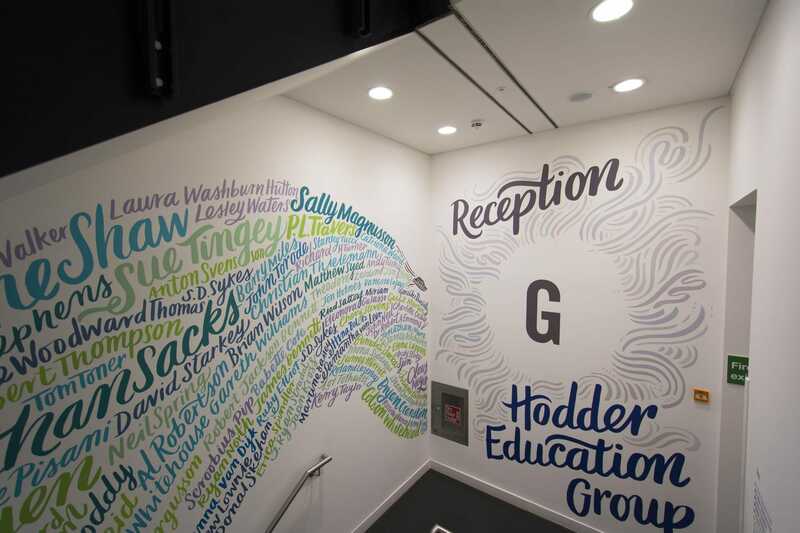 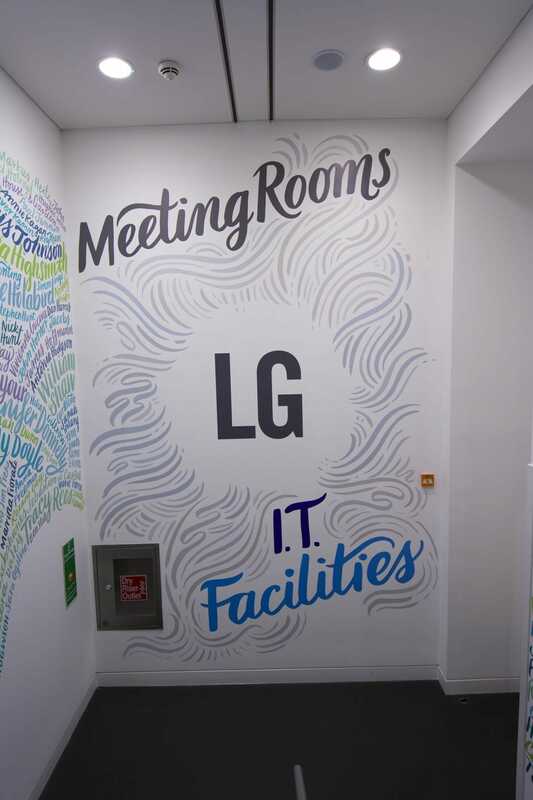 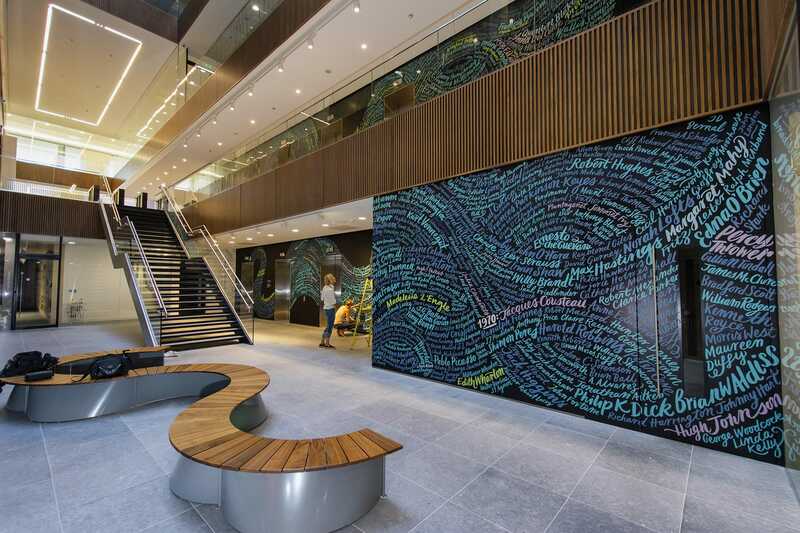 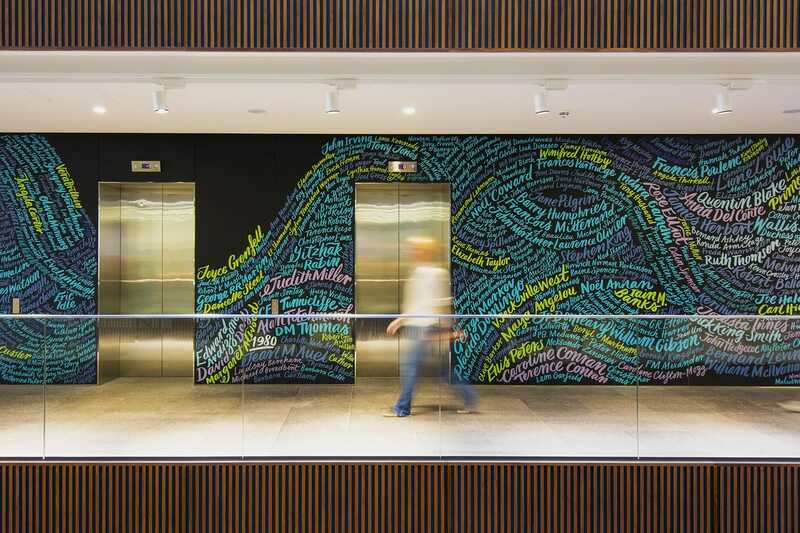 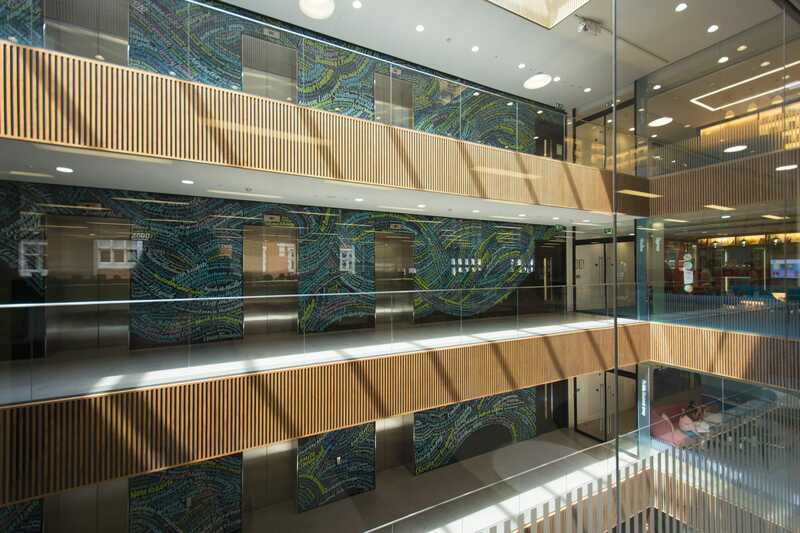 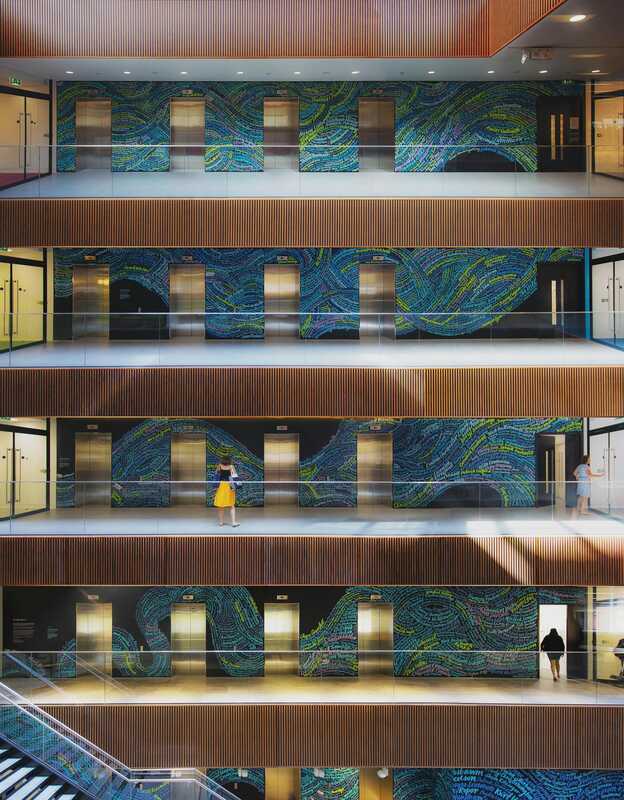 Working with illustrator Kate Forrester we created this hand lettered flowing mural, referencing the Thameside location of Hachette’s offices, which runs from the lower ground floor to the top of the building along the lift lobby walls, corridors and stariwells throughout the building.